Meeting the challenge that darkness presents for marine applications is the PKI 5235. This rugged camera is especially designed to withstand the typical shock and vibration associated with marine applications. It is intended for law enforcement and public safety applications with the use on vehicles or boats. It is the next and low-cost generation of thermal imaging with a pan & tilt platform for mobile and landbased or sea-based outdoor environment. 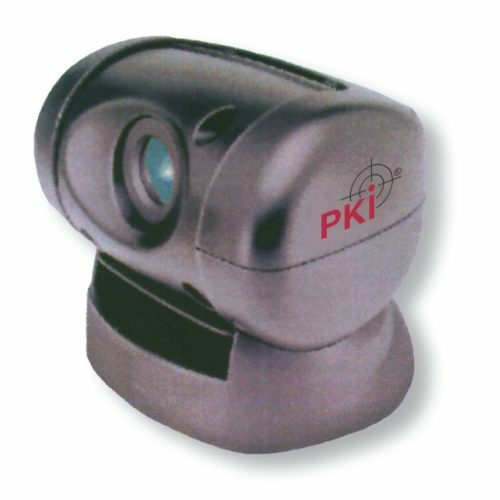 The camera can be mounted on a ship or other coastal structure and with the pan-and-tilt positioning platform, operated by a joystick controller, the user can observe or search for boats or stray objects in the water by manoeuvring and pointing the camera into the necessary direction. PKI 5235 utilises image processing to create thermal images with improved contrast, resulting in better feature definition, sharper and clearer pictures.